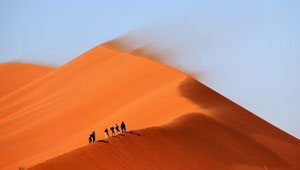 This 15 day adventure up South Africas East coast is packed full of adventure, safaris and beautiful beaches. 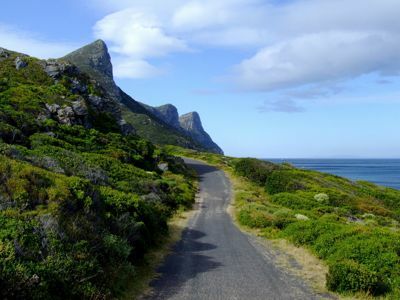 Departing Cape Town twice per month this cross country adventure starts with the famous Garden Route. A unique coastline famous for its beaches, mountains and wildlife. Next up we head into the Tranksei - a truly beautiful rural area boasting untouched white sandy beaches. From here we head towards the Drakenberg Mountains. The biggest and highest mountain range in South Africa. 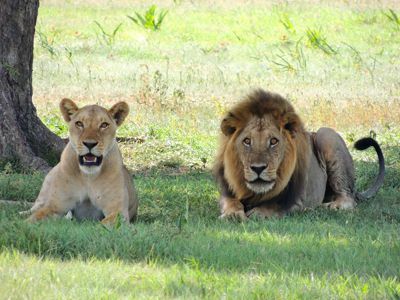 The final stop on your adventure is the mighty Kruger National Park. Known for its huge abundance of wildlife. 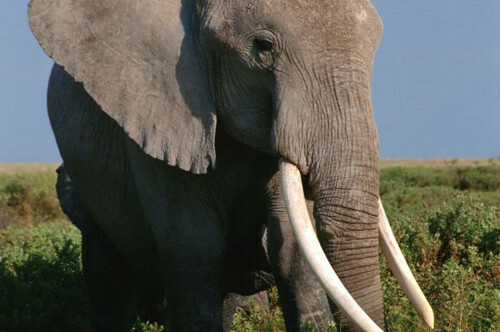 Kruger is South Africa's largest wildlife reserve and the best place to go looking for wildlife. After your trip to Kruger we head to Joburg where this tour comes to and end. Read the full itinerary below. Don't miss out, book now! from your accommodation in Cape Town CBD or Stellenbosch. Set off from Cape Town along the rugged landscapes of Route 62, the longest wine route in the world! Along this famous country road you’ll capture the beauty of high mountains, twisting passes, vast Karoo plains, vineyards and orchards. Route 62 is more than just burgers and beers, farm stalls or small country towns, it is, after all, famous for its wine, so oenophiles will be in their element with the wine pit stop en route at De Krans winery. Sample local delights before arriving in Oudtshoorn, the ostrich capital of the world. If you haven’t picked it up from the bird-filled paddocks lining the highway or the colourful feather stalls as you head into Oudtshoorn itself, you will from the many show farm signs and the palatial sandstone homesteads that hark back to an era when ostrich feathers were worth more than gold. 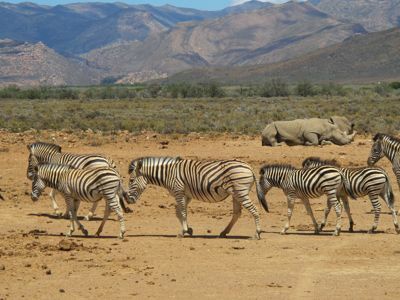 You’ll spend the evening in the quaint town of Oudtshoorn where Ostrich steak or kebabs complete the experience for those with an adventurous appetite. 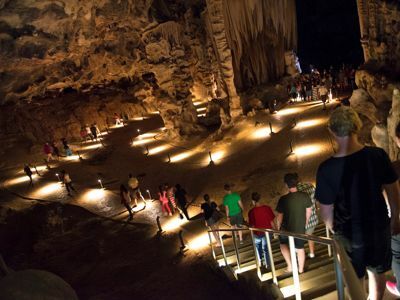 Delve deep underground to the magical Cango Caves’ limestone chambers, alive with drip formation stalactites and stalagmites and remnants of Khoikhoi paintings. Opt for the easy-going Heritage Tour to test the cave’s acoustics and gain insights your guide provides into the formation and dripstone evolution. By contrast, the Adventure Tour allows would-be contortionists to squeeze, twist and wiggle their way through limestone chimneys on a rather more adventurous underground route. For those that savour a great night’s sleep, tonight’s end destination – the coastal town of Sedgefield and nearby Myoli Beach – promises just that. The tranquil village boasts the title of Africa’s slowest town. Here, life in the slow line is THE way of life. Pristine wild and adventure go hand in hand on this adrenaline-packed day. 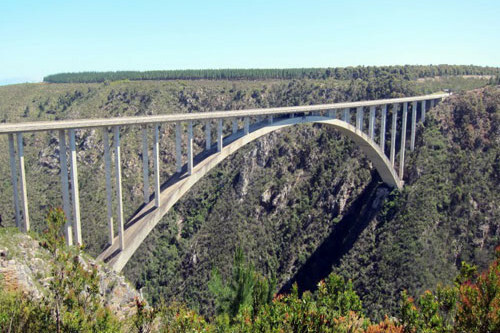 From a morning spent admiring the views from the imposing Knysna Heads to ocean and green river views atop Bloukrans Bridge, the world’s highest commercial bridge bungy jump or as you zip line over gushing river gorge in the Tsitsikamma forest. 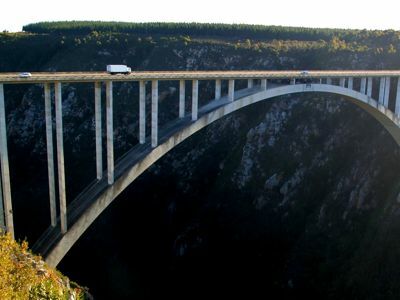 The bungy bridge itself is fairly unassuming as you drive over it, but it’s pretty apparent from the squeals and screams that this isn’t your average photo stop. Here, seemingly normal people hurtle face first down the 216m drop only to spring back up on their elastic cord like a yoyo. For the spectators, half the thrill is in watching their contorted faces on the TV in the nearby café and the other in watching a staff member ‘catch them’ and return them to safety. This region is a playground for the outdoors and for those with tamer appetites who have opted not to bungy, a visit to the Knysna’s famous 1000-year-old yellowwood tree, with its massive nine-metre circumference, provides the requisite photo opportunity. 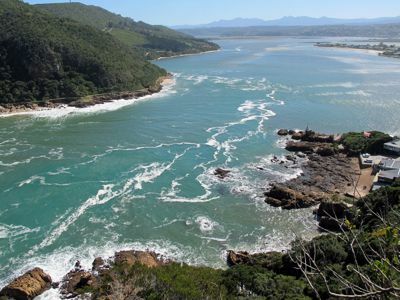 As you head to the coastal belt, towns like Plettenberg Bay show why it and the Tsitsikamma (the first ‘T’ is silent) National Park are favourites with holidaying locals. 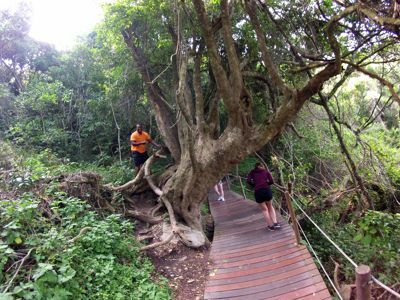 The short but steep walk to Tsitsikamma’s suspension bridge is worth it for the views alone and, you’ll likely get a thrill as fellow tourists test its swing factor. The large white caps (or seahorses as the locals call the surf break) of Jeffreys Bay herald your departure from the official Garden Route and your arrival into South Africa’s quintessential ‘Surf City’. 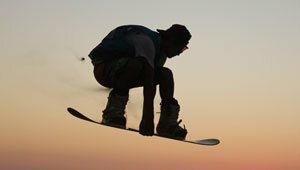 Hang ten with the locals, hire a board and hit the beach, sandboard on the dunes, shop or chillax and grab a fruit slip into a relaxed frame of mind. Today you can spend your time at leisure in the coastal town of Jeffreys Bay blessed with gnarly surf breaks and rip curls. It’s not surprising that many of the leisure activities in this surfing town revolve in and around the water. Hang ten with groms on the beginner breaks, learn to surf at one of the many surf schools in town, visit J’Bay Surf Village’s factory outlets for a bargain or duck into the JB Surf Museum and learn about the evolution of the surfboard. Various hiking trails surround the area, but there’s also sandboarding, beach horse rides, stand-up paddle boarding, scuba diving and, believe it or not, electronic bingo to amuse. And, if you’re a beachcomber at heart, Jeffreys Bay’s shell museum boasts one of the largest collections in South Africa. Now your journey becomes seriously wild and if you haven’t felt it before you will, for certain, feel that you’re in “real Africa” now. After breakfast you’ll leave the coast for a while and after an hour-long drive arrives at the gates to Addo Elephant National Park, the third-largest of South Africa’s 19 national parks. 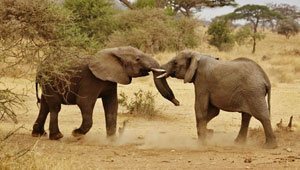 This is your first opportunity on this trip to see some of Africa’s wildlife and while animal sightings can never be guaranteed, it’s almost certain you will see elephants as you drive through this beautiful park. After leaving Addo, head further north-east into the Eastern Cape province, crossing the last of the picturesque Cape Fold Mountains. You’ll have been crossing and driving between these mountains since you left Cape Town: the sandstone curves on the mountainsides a tell-tale sign of tectonic plate activity from around 350-million years ago. The drive from Addo to the coastal town of Chintsa, where you’ll spend the night, will take just over three hours and the closer you get, the emptier the landscape will become. Towns fade as grassy rolling hills become peppered with trees, cattle and clusters of round houses. 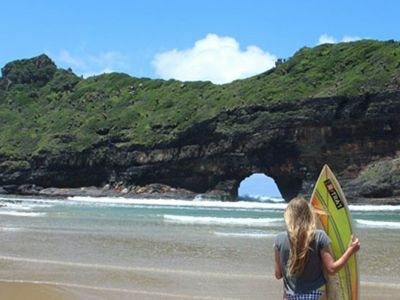 You’re now heading into the Wild Coast, one of South Africa’s most undeveloped regions, and will have three full days to immerse yourself in an area that’s known for its astounding natural beauty and laid-back vibes. Chintsa is where the pace of life slows down, and you have absolutely no commitments today: nowhere that you need to be, nothing that you need to do. If you feel the need to while away hours in a hammock, with a good book in hand, that’s perfect. If you choose to stretch your legs and wander or run wild on the beach, well, you have 15km of untouched coastline to keep you occupied. 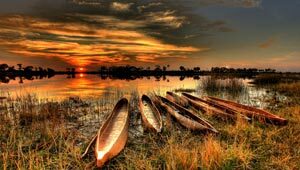 If you’d like to get out and do something, then of course we do have some suggestions for you as Chintsa is a fantastic place to explore and tick off a few bucket-list items. Enjoy a horse ride across a wild beach? Learn to surf? Yoga in a forest? All here – all available for you to do. You could also learn more about the Xhosa culture and meet with a traditional healer. You choose the direction that your day will take… and we’re pretty sure that today will be a truly memorable one. Back on the road, you’ll be heading inland on an enlightening and possibly emotional journey through South Africa’s history and politics, before turning towards the coast and travelling once again through the Eastern Cape’s vast, open landscapes. Chances are by now you will have come across images of Nelson Mandela in hotels, backpackers and souvenir stores – he is still very much loved by South Africans – and you may even have read his autobiography, A Long Walk To Freedom. 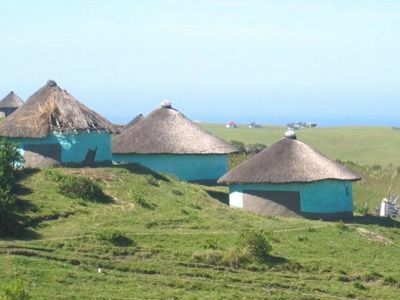 Today you will be driving to Qunu, a humble rural area where Mr Mandela grew up. After being shown around and hearing some stories from a very knowledgeable local guide, you’ll have time to ponder the legacy of Madiba as you drive through the former Xhosa homeland towards Coffee Bay, another beautiful little town on the Wild Coast. While visitors to Coffee Bay revel in the laid-back atmosphere here on the Wild Coast, many are lured by something else: the chance to walk in one of the most enchanting, wild coastal areas on this continent. Today is a free day for you so of course, you are welcome to kick back and take full advantage of Coffee Bay’s chilled vibes. If, however, you’d like to get out an explore the area, then we’ve lined up a rewarding hike that will allow you to make the most of the time you have here. Nature lovers can be awed by a hike to Hole in the Wall, a natural phenomenon that is quite a crowd pleaser in the region, and it’s no surprise why! The hike is not very physically demanding and the views are spectacular. This hike will take up most of the day, but you’ll be back in Coffee Bay town by sunset. There really is no way to describe today without gushing about the landscape, and todays journey really shows off South Africa’s magnificent geographical diversity. You will wake up overlooking a river estuary and the Indian Ocean, and then drive through wild hills, sparse settlements, small towns and increasingly lush farmlands until you reach the foothills of the mighty Drakensberg. As you hit the road today you will journey inland to another of the Nelson Mandela Museum sites, where your guide will show you around the historical site. You’ll get a chance to learn more about the South African hero and view a collection of Mandela’s presidential gifts before you head north towards Sani Pass in the Drakensberg – a UNESCO World Heritage Site. It’s always a tough when travelling to have to make a decision on how you’re going to experience a place… and today is one of those days. You can either explore the mountains on foot by walking some easy (but really scenic) trails with a local guide, who will take you to the most beautiful vantage points in the area, or you could head up the Sani Pass 4×4 track to the very top of the mountains, where South Africa meets Lesotho and from where, it seems, you have a view across the entire world. You’ll leave the mountains today but will be travelling parallel to them, albeit from a distance, so if you’ve not yet had your fill of the mighty peaks then be sure to sit on the left side of the tour van. Today you’ll be driving through one of South Africa’s favourite weekend playgrounds, the KwaZulu-Natal Midlands. It’s a big farming area – dairy, beef and maize, mostly – and there are a number of small nature reserves here, too. The Midlands Meander, a collection of arranged routes, offers beautiful scenery, local experiences, and an abundance of small family run farm stalls to stop at along the winding roads. Before setting out on today’s drive you’ll visit a Zulu family. While the Eastern Cape is traditionally home to the Xhosa people; KwaZulu-Natal welcomes you into Zulu territory. Xhosa and Zulu languages are similar and so you might recognise a few words, but the customs and traditions do differ – and this morning is your chance to learn more; it’s certain to be a very memorable hour or two. The driving time today is around 3,5 hours, and you’ll break the journey by stopping at the spectacular (especially after the rains) Howick Falls, which is in the heart of KwaZulu-Natal. Just a few kilometres away is “the Capture Site”: the place where Nelson Mandela was arrested in 1962. Today is a fairly busy one and this site is not included in the tour itinerary, but if you’d like to see the enormous sculpture that’s at this site (it really is unusual and very clever), then ask your guide if there’s time to make a quick detour here before you head to the quaint town of Nottingham Road for a rather quirky beer tasting. Northern KwaZulu-Natal, particularly the area around Dundee, is steeped in a very bloody history that was instrumental in shaping the South Africa we know today. There were intense battles here between, at various times, the Brits, the Boers and the Zulus and most of your trip today will be dedicated to learning more about these exceptionally important events. But don’t expect a dry history lesson: we’ve lined up local guides who will bring the past to life, taking you through some of the clashes in a way that’s sure to leave you feeling like you’re right there, watching the action. You’ll start off at the Talana Battlefields in Dundee, where the first battle of the Anglo-Boer War took place, and after looking around this impressive museum complex you’ll move on to the innovative monument that commemorates the Battle of Blood River. It’s history like you’ve never seen it before. When you leave the Battlefields behind your van heads north, skirting the border of Swaziland and making its way into the Lowveld. 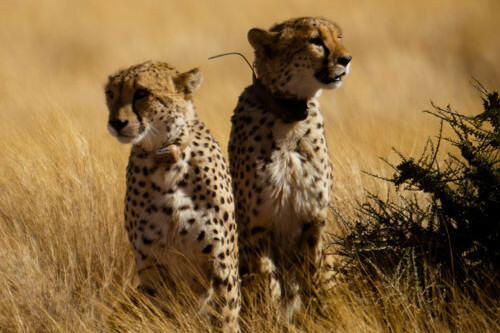 It’s a low-lying area that is dominated by open woodland, grassy plains and thorn trees… what so many people consider to be “the real Africa”. You’ll wake this morning in Mpumalanga, South African’s easternmost province. The name actually means “place where the sun rises” – and appropriately, after an early breakfast you’ll be driving into Kruger National Park. Kruger covers nearly two-million hectares – that’s the same size as Slovenia – and you’ll be exploring roads around the southern section of the park. White rhino are quite commonly seen in this area, as are hippos, sable antelope, kudu, buffalo, giraffe, zebra and impala. 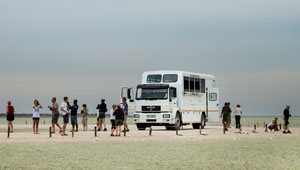 Today you’ll travel Kruger’s roads in two vehicles: this morning in your tour van, as you make your way to Pretoriuskop Camp, and this afternoon in an open 4×4 safari vehicle, which will be driven by a park ranger. Accommodation this evening is in one of the iconic African-style round huts at Pretoriuskop; it’s a fenced camp so you’re totally safe here… and it’s thrilling to fall asleep to the nocturnal sounds of the bush. There is no better way to experience the African bush than to walk in it… and that’s exactly how your day will begin. After a pre-dawn coffee you’ll be out in the bush walking with an armed ranger, looking for signs of animals and learning fascinating facts about the wilderness. It’s a time when your senses completely tune in to being here, now – a great exercise in mindfulness! – and you’ll return to camp exhilarated. What a way to end a tour across this beautifully diverse country! Today will be so packed with places to go, things to do that we’re certain you’ll be ending the journey on an exceptionally high note. 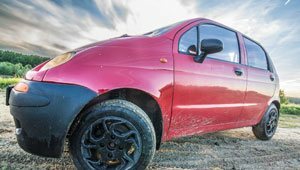 After a morning visit to a Shangaan village, your chance to brush up on the culture of this part of South Africa, you’ll be treated to a drive along what has to be this country’s most spectacular road. Trust us – you’ve driven across South Africa but you ain’t seen nothing yet! 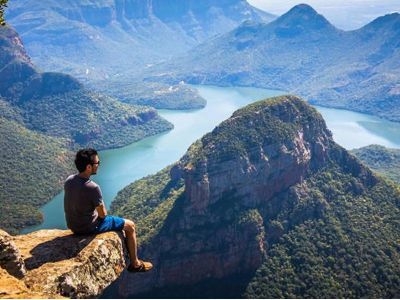 There will be plenty of stops along the way at geological wonders and breathtaking vistas such as the famed God’s Window, Bourke’s Luck Potholes and the Three Rondawels. By the time you reach the big city lights of Jozi this evening your Instagram feed will be bursting with exquisite landscapes; your soul filled with beautiful memories. This is the end of a pretty comprehensive tour across South Africa – and what a journey it’s been! Hamba kahle, friend – go well and may Africa always have a special place in your heart. 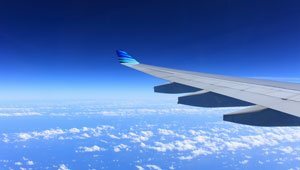 – Reach Johannesburg by late evening. pickup and drop off service, Airport transfers on arrival and departure days, transfers to guided tour highlights, insured and licensed en mini-van, English speaking local qualified guide, Bed and bedding for 14 nights. Departing Cape Town twice per month this cross country adventure starts with the famous Garden Route. A unique coastline famous for its beaches, mountains and wildlife. Next up we head into the Tranksei – a truly beautiful rural area boasting untouched white sandy beaches. From here we head towards the Drakenberg Mountains. The biggest and highest mountain range in South Africa. 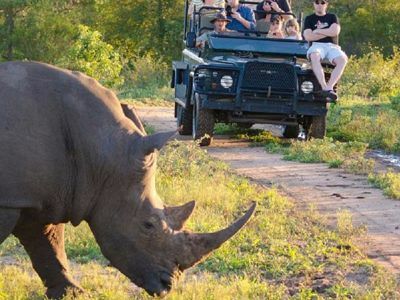 The final stop on your adventure is the mighty Kruger National Park. Known for its huge abundance of wildlife. 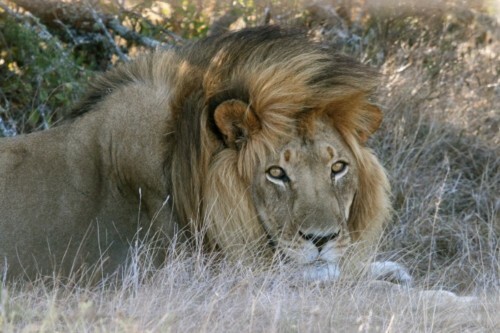 Kruger is South Africa’s largest wildlife reserve and the best place to go looking for wildlife. After your trip to Kruger we head to Joburg where this tour comes to and end. Read the full itinerary below. Don’t miss out, book now!